Summary: Remember as we come to the Lord’s table today we look back to remember what Jesus has done, we look inside to see what we need to do, we look outward to what we can do for the Lord Jesus Christ. Intro: We as Baptists love to eat, we love food for baptisms, ordinations, festivals, and revivals. You name function and we love to bring food. One of the most important meals that we take part in is not about food, but about faith. It is a clear representation of what close fellowship and relationship we should have with Jesus Christ. The Lord’s Supper. Some would say that we have faith because we need a crutch to make it through life. That we believe because we are week. 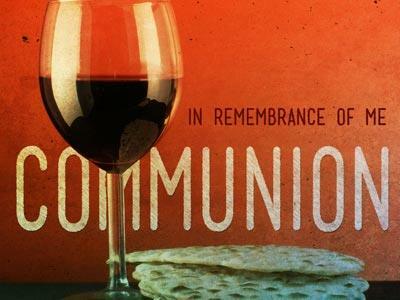 In the Lord’s Supper, many call communion, we remember that we are weak, sinful and hopeless by ourselves. Today we practice two of the ordinances given to the church by Jesus. Baptism is where those that have acknowledged their sin, and confessed Jesus Christ as savior and only way to God the father and heaven identify with His death, burial and resurrection. The Lord’s Supper is a way of remembering His death and resurrection and anticipating His return to claim His church and His rightful place as King of Kings and Lord of Lords. You have heard me say the first time Jesus came as savior, the second time He returns bodily he will come as sovereign. 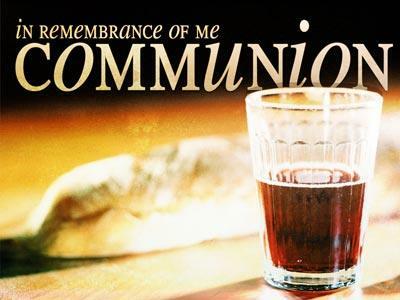 In the Lord’s Supper we remember Jesus our savior, we regard ourselves in light of His atoning death and resurrection. We represent Him as people who trust, obey and tell others about our great salvation as we long for His soon return. We as people try to forget death and remember the good things about people that have gone before us. We don’t even call it death anymore we call it passing on. According to 1Peter 2.24 and Isaiah 53.6 he died for our sins. It does not matter if he lived a sinless life if he did not die an atoning sacrificial death. He paid the penalty of our sins. The soul that sins it shall die Ezekiel 18.20. If we could live ten thousand life times we could not pay for our own sins. This is not the simple remembering of facts about Jesus. We come to His table today and fellowship in the reality of His presence. The Holy Spirit gives witness to our spirit and we rejoice in the fellowship we have in and through Jesus Christ. His resurrection is the seal of approval that death is defeated and sin no longer controls us. The resurrection yells victory in Jesus, my savior forever. He sought me and bought with His redeeming blood. In this we have hope to see our loved ones long dead. In this we have a purpose for living and a greater purpose for dying. If Jesus had not died, rose, and left the first time we would not be sealed with His Holy Spirit. After we have looked back and remembered His death, and resurrection we look forward. In remembering and reflecting on Jesus’ death and resurrection we should be overjoyed and look forward to His returning. Acts 1.11 after Jesus was taken up into the clouds the apostles and disciples were standing with their mouths open. Two men appeared to them and basically said why are you standing there open mouthed? This same Jesus who was taken up from you into heaven will come again in like manner. All through the Bible there is a yearning expectation for the soon return of Jesus. It is best seen in the last book of the Bible as the apostle John calls for the return of Jesus. Even so come Lord Jesus! 1 Corinthians 11.26 says we will observe this ordinance until he comes. Is there a longing in your spirit for your savior to come? Or is there dread in your soul because he might come at any time? The older I get the more I prayer even so come Lord Jesus. This bread, and juice cause us to look forward to the great banquet hall of heaven. We will one day be united with Christ forever. We have much to celebrate and much to look forward to. Do you want to know why our country is embroiled in a financial crisis? How many of the representatives, Democrat or Republican, or whatever party have called for Americans to pray and ask God for forgiveness? It is greed that has brought us to this place. It is forgetting the God who made America great. We as Christians need to take this to heart!! It is all too easy to forget the mighty hand of God and look to the measly hand of government. What is their proposal to take care of the problem? The checkbook. What is God’s repent, humble yourself and pray. Remember where our help comes from, it comes from the Lord. 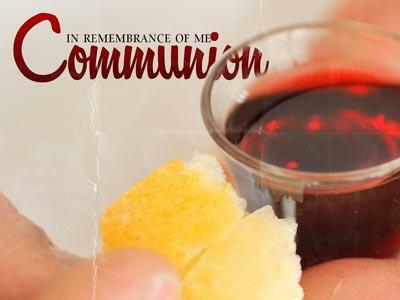 Remember as we come to the Lord’s table today we look back to remember what Jesus has done, we look inside to see what we need to do, we look outward to what we can do for the Lord Jesus Christ.